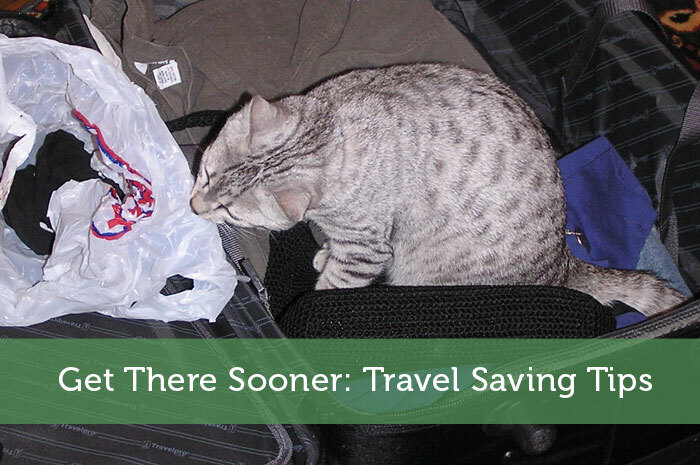 The following is a guest post about travel saving tips. If interested in submitting a guest post, please read my guest posting policy and then contact me. Working hard is the only way to stay financially stable, but everyone can use a holiday. Unfortunately, more people are forgoing that much-needed holiday because of the staggering cost of travel. Saving on travel makes it possible to enjoy a week away without worrying about what will happen to your bank account in the process. Learn how to take your dream holiday sooner with these money-saving tips. 1. Lease a private flat or home instead of staying in a hotel. Homeowners who want to rent out a flat or home often charge weekly or even monthly rates. These rates work out to be much lower per night than hotels. You’ll also have more room and may even find a location that is more central to attractions that you want to visit during your trip. Bigger homes are ideal for groups that are travelling together. Consider going on a trip with a group of friends so you can split the cost of a house. You’ll be able to enjoy a private room without having to shell out a lot of money. 2. Sign up for travel price alerts. Many travel websites allow you to receive alerts if a trip that you would like to take falls under a certain price. You can enter the destination, desired travel dates and the highest acceptable price in order to be emailed notifications. Email alerts allow you to jump on a great deal while it’s available. 3. Shop around for all-inclusive holiday packages. It’s not unusual to find yourself paying for every little extra at a hotel. Many hotels charge for Internet access, newspaper delivery, extra pillows and even bottles of water that include price information in tiny printing that you might miss if you don’t look hard enough. Search reviews from past travellers to learn more about what is included in a specific hotel stay. You may think you’re getting a deal on a decent hotel, but these fees add up quickly. Failing to research fees could mean going over your travel budget within minutes of checking in. 4. Search for off-season trip ideas. If you are flexible about the attractions in your holiday destination, there are plenty of travel deals to be enjoyed in the off season. Every travel destination has something going on throughout the year, but you may have to look through a website listing local attractions to find out what’s going on during your desired travel dates. An eccentric cultural festival can make for an interesting, affordable holiday. 5. Disable cookies when you search for travel deals. Believe it or not, websites that record search data can actually use this data to try to sell you travel at an inflated price. You may find a great deal and plan to come back to a travel website later to book the travel. The travel websites will be able to recognise that you’re interested in a specific package, and you will probably find that the price goes up significantly when you visit the website again. Avoid these rate hikes by clearing your browsing history and disabling cookies. 6. Save dining out for special nights. Dining out can account for a huge percentage of your travel costs. If you want to save money once you arrive at your holiday destination, plan to eat food you make yourself as much as possible. Staying in a home instead of a hotel would allow you to gain access to a kitchen for meal preparation. You don’t have to give up all fine dining to save money. Book one or two nights at a restaurant that you’ve been dying to try to keep your travel experience enjoyable. Being wise about your finances doesn’t mean that you have to give up your holiday. Be smart about booking travel in order to enjoy significant cost savings. Remember to have enough cash with you at all times while travelling, as not all places will accept foreign credit cards or travellers cheques. Some financial companies have international services that can really help you out. Check what options your bank has available before leaving on your next adventure. And remember that saving money on travel lets you get away sooner. The disabling cookies is a big one. A lot of companies track to make sure they are showing you the same deal or even increase prices if they see you are coming back searching after a few days. The wifey is a pro at finding all inclusive deals for traveling. Never thought about leasing a flat or home. Where would be a good place to find those? Yeah, i think companies have become sneaky in that regard, disabling cookies will give you a fairer playing ground. With six in our family, we either have to pay for a suite or two adjoining rooms at a hotel. We have rented a home instead on multiple trips and it has saved us a good deal of money. Yeah as a large family can be a headache especially when it comes to accommodations. Going vacation rental is a great idea and its nice to hear it from your real experience! I really like to research before I purchase anything. Really helps to save money. Also, know where you want to save money and where you want to splurge. Some people are fine with a not-so-nice motel, whereas others know that they will hate their vacation if they go too cheap. Golden golden rule of anything, especially financial, research and compare thoroughly. More often than not you will end up with a great deal that would save you a nice sum and maybe enable you to splurge on other areas! I have learned recently about the cookies, so far couldn’t prove that it changed the price, but I believe it does for some offers. I think the companies implement it so subtly you’d rarely notice. Additionally, most people might not know about so it just goes on unabated. #6 is a great tip. If you’re not careful, often you can spend more on food than the actual transportation. It is nicer to have someone wait on you, but it is almost never the most frugal choice! You are totally correct, Derek. But that’s just inevitable especially when you’re in a place that has awesome food. These are great tips. My wife and I are trying to plan our next trip for early next year, so we’ll have to keep these in mind. I’ve heard about the cookie thing before. It’s crazy how “smart” some of those websites are. Excellent article for saving money traveling. Its such a useful list of tips at traveling.One of our best money saving and fun-maxing tips for travel is to explore nature where you visit. The beach, trails, parks are inexpensive and beautiful. I like #5 tip it will really help in my next vacation. I can agree with you on exploring nature when you travel, its an inexpensive and fun activity, not to mention you get to enjoy the great outdoors! Really interesting to read how disabling cookies will help me to be able to come back to the deal I earlier found rather than an inflated one. One tip I wouldn’t mind passing along is the one I live by these days. The pre-paid travel card. I am a huge fan of this because not only can you keep a foothold on your spending but also you can continue to top-up your funds online whilst travelling. My wife and I bought a box of cereal and milk at the local grocery store on our last vacation. Saved at least $10 each day but not eating breakfast at the resort’s overpriced restaurant. My philosophy is that saving money while on vacation will allow me to take more vacations!